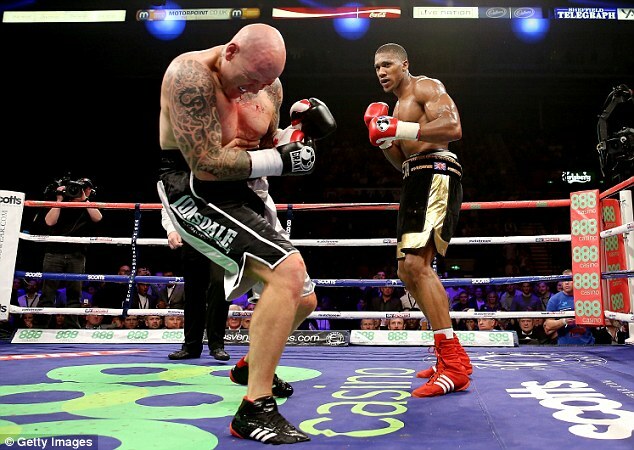 Olympic super-heavyweight champion Anthony Joshua continued his professional apprenticeship with a destructive second-round stoppage win over journeyman Paul Butlin. 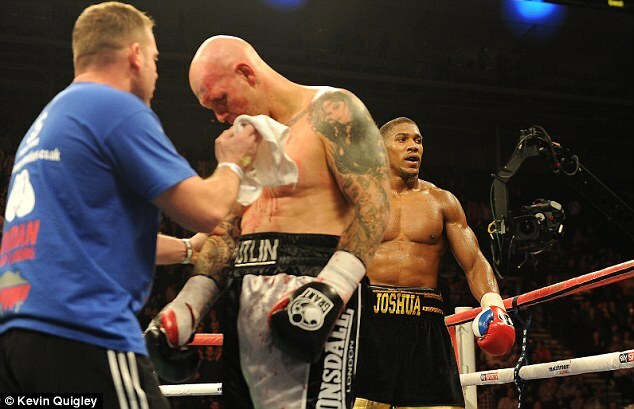 Butlin's record of 14 wins and 19 defeats showed he was no serious threat but he did represent a decent test of Joshua's credentials at this early stage of his career. 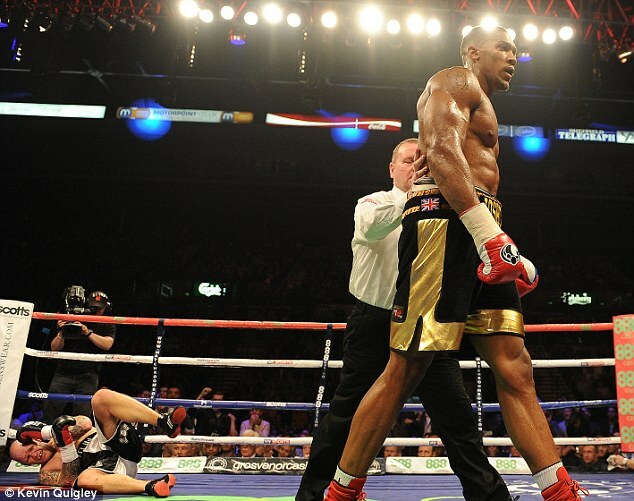 Joshua, in superb shape, dictated matters from the first bell, pumping out his powerful jab. 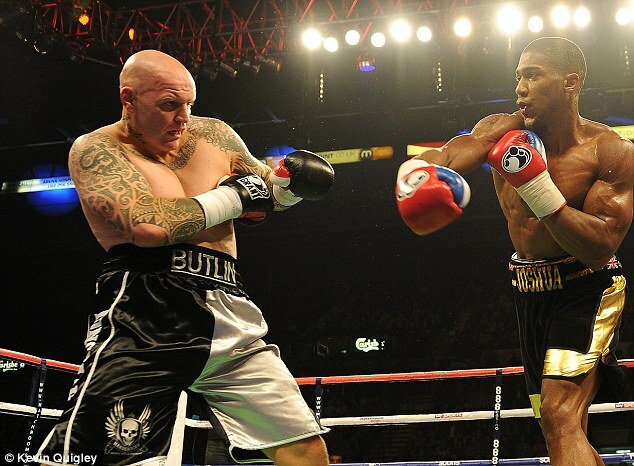 As the opening round wore on he unloading a wider variety of shots to head and body, blasting in the right hand and firing hooks and hurtful uppercuts. Butlin tried closing the distance down but was punished almost at will by the big rookie. 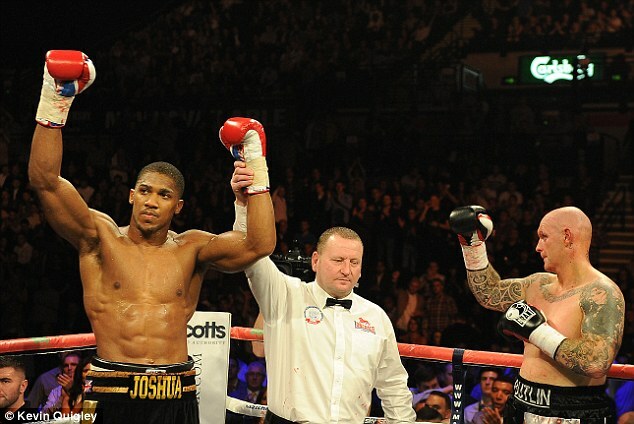 Joshua stepped things up emphatically in the second and the round was less than a minute old when the end came. An audibly thudding left-right combination sent Butlin crashing to the canvas, his left eyebrow badly bloodied and his senses scrambled. To his credit, Butlin got to his feet unsteadily but when Joshua took his time and continued the assault - landing a lovely left to the body - the Leicestershire man's corner threw the towel in as referee Howard Foster waved it off. 'When you go in there you think there are a few things you could do better but I'm still improving and still learning. 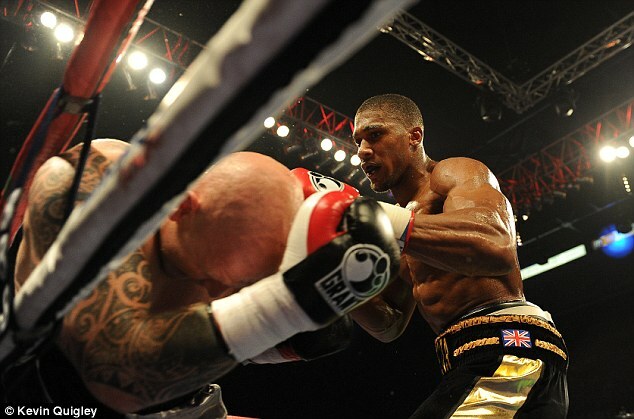 'The key is to relax and box and move, wait for openings.